Airport transfers via taxi. Please see confirmation materials as we suggest taxi or Uber (reimbursable to you), though transport can be pre-arranged if requested. For those requesting double room accommodations every effort will be made to pair you with another climber. A single room supplement will apply if a match cannot be made or if there is a last-minute cancellation. Email to be added to the waitlist or to inquire about spaces. Alpine Ascents offers a 10% discount for those partaking in back-to-back climbs of Mt. 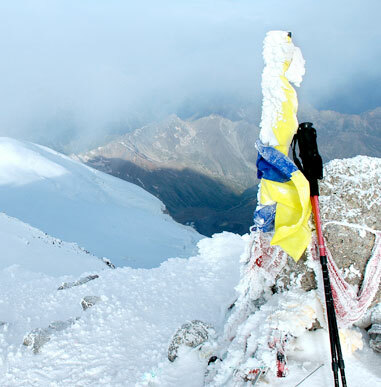 Elbrus and Kilimanjaro, two of the seven summits. 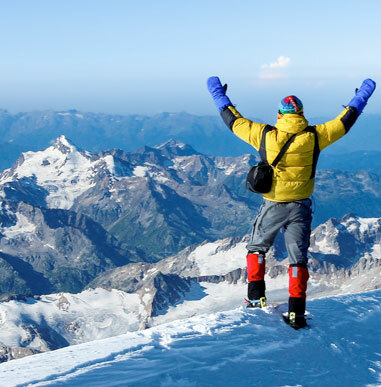 This combination offers an excellent opportunity to save money and experience two extremely different climbs, while completing two of the seven summits. Alpine Ascents includes most of the incidental costs associated with this trip in the expedition price. Our price includes all pickups and transfers on scheduled day per request. Also included is the internal round trip flight to Mineral Vody. All excess baggage fees for the Mineral Vody flight will be paid for by Alpine Ascents. Snow Cats used going up the mountain are included in cost (single journey, multiple rides extra). Alpine Ascents has one of our current staff lead every trip along with pre-selected Russian guides. Multiple guides on summit day. We encourage you to compare our offerings to any other guide service. All schedules account for round-trip travel from home country. All land prices listed below; round-trip international airfare not included. Dates and prices are subject to change. Please purchase trip cancellation insurance (see bottom of page). 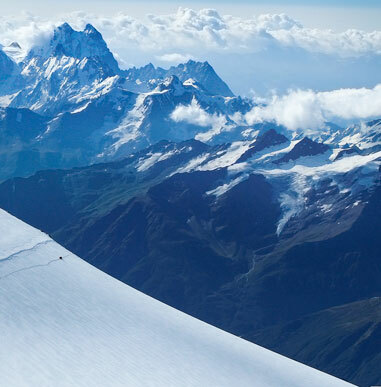 Note: Alpine Ascents International highly recommends trip cancellation insurance for all expeditions. Due to the nature and heavy costs of government and operator permits, Alpine Ascents International must adhere to a stringent refund policy. Each deposit, regardless of amount, includes a $300.00 nonrefundable registration fee. Full refunds, less registration fee, will be provided 120 days or more prior to course, trek, and/or expedition date. 50% refunds, less registration fee, will be provided 90–119 days prior to course, trek and/or expedition date. Superbly organized and executed trip. Complete confidence that all precautions had been taken and safety was paramount with contingencies planned for and considered.